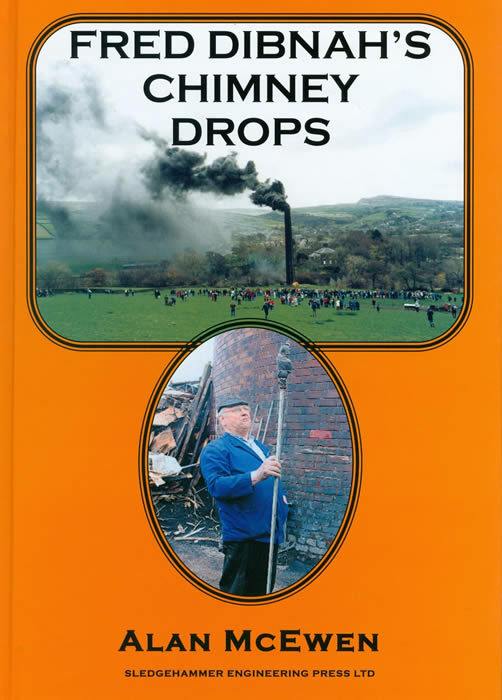 This quality A4 size, hard-back volume compliments our earlier title FRED DIBNAH’S CHIMNEY DROPS and it is our aim to publish other titles of this format which in the future, we trust, will form collectors’ libraries of British Industrial History. Europe and the Republic of Ireland: £5.00. Australia, Canada, USA and the rest of the world: £7.50. 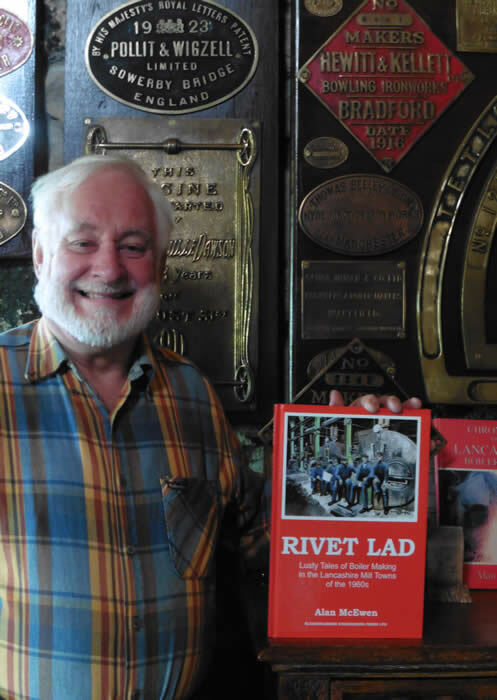 Alan McEwen’s latest book records over 30 terrifying and horrific boiler explosions occurring in 19th and early 20th century Cotton Mills, Collieries, Ironworks, Bleachworks and several other Industries. 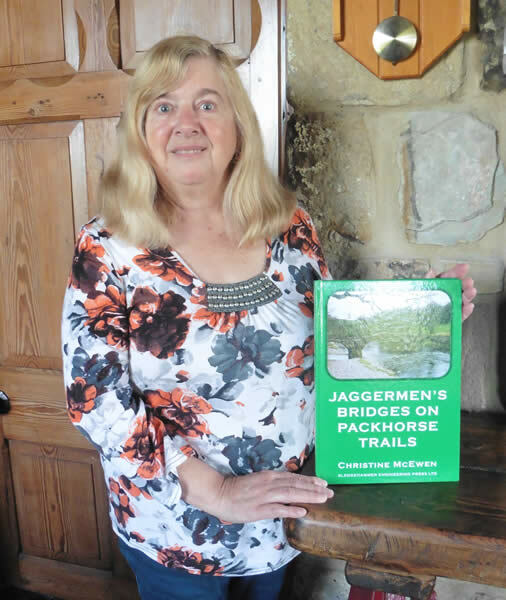 This well-researched book, the only one of its kind published in Great Britain for many decades also features the histories of early factory steam boilers: Balloon, Waggon, Egg-Ended, Cornish, Rastrick Vertical, Lancashire and other interesting early designs. The author has also included boiler explosions involving Traction Engines, Railway Locomotives and the disastrous explosion that claimed the lives of 45 men on board H.M.S. Thunderer. This beautifully produced book is profusely illustrated with over 170 black and white photographs and Victorian engravings, many being exceptionally rare that form part of Alan McEwen’s Industrial Heritage Collection. 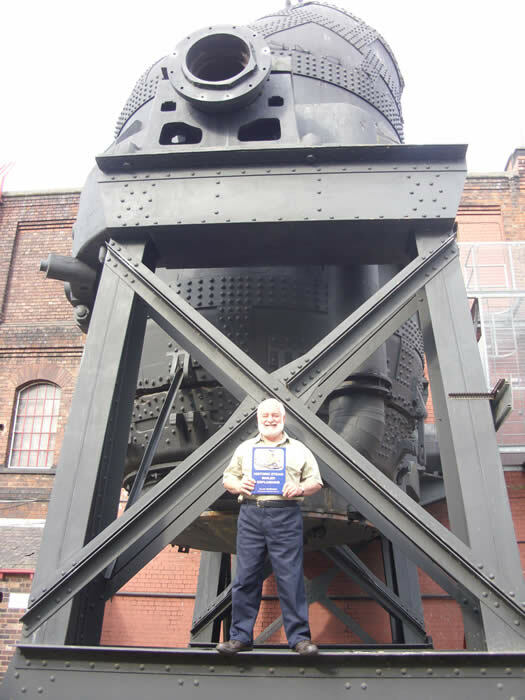 Often thought of these days as Middleton’s answer to Fred Dibnah, Alan McEwen has brought to print once again his passion and enthusiasm for Victorian engineering. Although the title may seem rather esoteric, Alan McEwen manages to depict the early days of steam power and the inherent dangers of what was then cutting edge technology. Alan’s compilation of accounts, from libraries and newspapers around the country, expertly chronicles the growing use of steam boilers during the industrial revolution and the growing technologies that resulted from the numerous explosions that took place in those days. And these were often very spectacular explosions, depicted by necessity by artists, but also some very dramatic examples in photographs. All of this described and explained by Alan’s unique insight and knowledge of Victorian steam boiler engineering. Along with the description of the numerous explosions that took place during the 19th century, and the pictorial depictions that accompany them, there is a grim death and injury toll from each example. Deaths were common whenever a boiler exploded. Often in multiples, and because of the factory system operating at the time, often including women and children. If anyone is qualified to write a history of steam boiler explosions, it is Lancastrian boiler maker Alan McEwen, and here he looks in detail at 34 boiler explosions that occurred in Great Britain between 1845 and 1921. He also describes the considerable variety of industrial boiler designs, as well as locomotive and marine boilers, and the underlying reasons why steam boilers did explode. The bulk of the explosions covered were in factories of various types, but road, rail and marine boiler explosions also feature. Great book with a considerable amount of social history interwoven with the technical details. 200 pages, full of B&W illustrations, drawings and photographs. Hardbound. 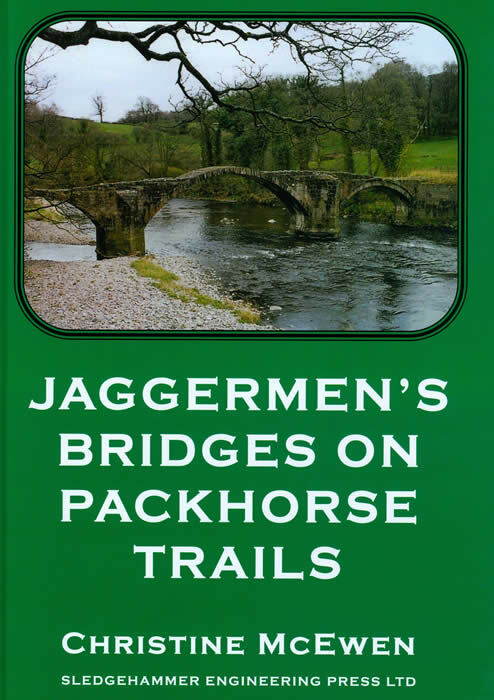 Produced in exactly the same format from this publisher as its Fred Dibnah’s Chimney Drops book, this volume will sit nicely on your shelf next to it. Basically it chronicles boiler explosions in mills and industrial sites from 1845 to 1906, multiple boiler explosions from 1864 to 1909, four traction engine boiler explosions, five railway locomotive boiler explosions and the explosion on board H.M.S. Thunderer, one of Queen Victoria’s ironclad ‘capital ships’ whilst sailing out of Portsmouth Harbour in 1876. This book is actually ‘two in one’, for Alan leads us through the basic details of land and stationary boilers, unfired vessels (Kiers), marine boilers and locomotive-type boilers and an introduction, the ‘Forces of Disruption’, which is a readable not-over-technical comprehensive view on early boilers and the pioneers of boiler inspection. Without all of these explosions of course, the world we live in today would be the worse; for it was only while we watched with horror and learned that we tried to get it right next time. Alan breaks down the various incidences under the headings of differing types of boilers and the reader is very much taken along in the scene-setting and the build-up of events that eventually ended in catastrophic loss of life. With fascinating line drawings and rare mono photographs, the author brings together a very readable volume that is the fulfilment of a 30-year ambition for this former well-known Boiler Engineer. The writing of this quality new book – Historic Steam Boiler Explosions – the first modern publication for decades that authoritively chronicles early British industrial boiler explosions, has been a long time coming for author Alan McEwen, a qualified Boiler Engineer and Industrial Historian for he has spent well over 30 years researching and gathering material including many rare photographs, making the publication of this splendid book a reality. Based on his many years of extensive research, within his book, Alan has chronicled 23 highly dramatic and informative accounts of the terrifying and devastating boiler explosions, including multiple boiler explosions that claimed the lives of hundreds of people whilst destroying the neighbouring buildings in Cotton Mills, Bleachworks, Collieries, Ironworks and other diverse industries of the 19th and early 20th centuries. Included also, are 11 horrific, well-documented accounts of Traction Engine, Railway Locomotive and Marine Boiler explosions. Historic Steam Boiler Explosions is effectively two books in one for in addition to the well researched and documented accounts of boiler explosions, the book includes basic histories and technical details of early industrial boilers such as: Balloon or Haystack, Waggon, Rastrick Vertical, Egg-Ended, Cornish, Lancashire, Scotch Marine Return-Tube; unfired pressure vessels called Kiers, as well as Locomotive Boilers and Marine Rectangular or Box Boilers. 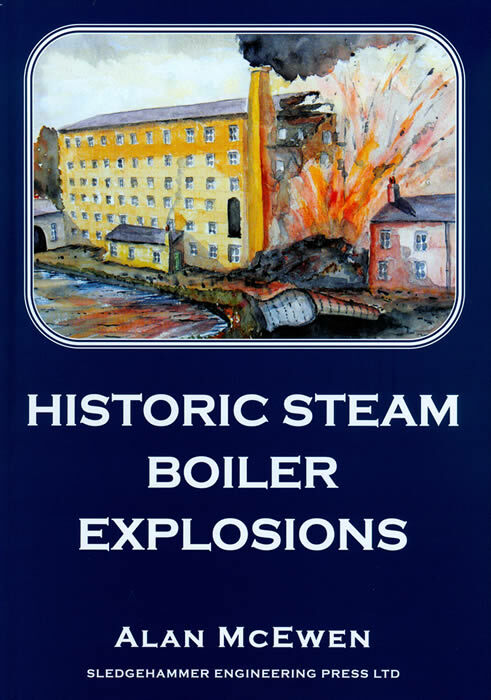 Historic Steam Boiler Explosions is a truly excellent record of a most fascinating branch of Britain’s Industrial past and is a must for anyone interested in reading about steam and industrial history. 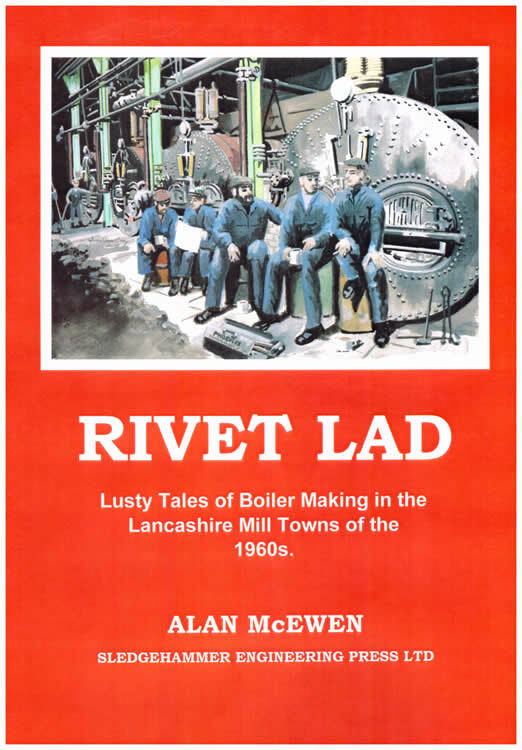 Since retiring from his own successful boilermaking business, Alan McEwen has concentrated on writing and currently has published three books through his own publishing house with more to follow! I have known Alan many years and he is a real professional and is enthusiastic about everything he does. This latest book is a product of both his professionalism and his enthusiasm – it is meticulously researched and written. As one who spends quite a bit of time with steam engines, both road and rail, I have sometimes wondered about the ‘what if’ scenario but with modern materials and practices, the likelihood of a boiler explosion these days is extremely rare. However, 100 years ago and more, things were different and poor workmanship, bad design, plain negligence, and often the relentless pursuit of profit, caused some horrific accidents. Of course, it was rarely those who were really responsible who were killed or badly injured, rather the poor hapless workman. Alan describes some really horrific accidents and anyone with a modicum of knowledge these days can see the inevitable developing long before it actually happens, particularly so with multiple explosions where, had the boilers been installed with better regard for safety, especially considering the ‘what if’ scenario, then it is unlikely that the explosions would have happened. That said, many were caused by a staggering lack of thought with regard to the inevitable deterioration of the metal of the boiler and a complete lack of a regular inspections scene. Of course, the earlier explosions occurred at a time when the regime of rigorous boiler inspections we have today were in their infancy and it is interesting to see the development of such schemes over time. In addition to the accidents – many involving mills or factories, though road and railway engines were not immune ­- Alan takes us through the different types of boilers involved and how they were made, so this is not just a book about boilers that failed with dramatic results, it is about the equipment itself. I was spell bound and spent several happy evenings reading every word. At the end I was left with not only an uneasy feeling of ‘there by the Grace of God go I’, but also wanting to know more. It should be a ‘must read’ for all owners and operators of steam plant, if only as a sober reminder of what could happen. HISTORIC STEAM BOILER EXPLOSIONS – An essential read for anyone interested in the history of steam power. Historic Steam Boiler Explosions at first glance may appear a gruesome subject to write about, but Alan McEwen has tackled it in such a way that within the book’s covers there is much to surprise and inform the engineer, historian and layman alike. The book is an essential read for anyone with an interest in steam power, engineering and the development of safety within industry. There have been books before on locomotive boiler explosions and the development of insurance and such like, but here, Alan has combined many facets into a publication that is readable, yet dramatic, but also covers the lessons learned as a result. His long background in industrial boilers has given Alan plenty of material to draw from and the research into this book must have been meticulous; students of transport history will also find accounts of traction engine and railway locomotive accidents and mishaps. Particularly interesting are the chapters on multiple boiler explosions in industrial plants, such as the ironworks at Redcar – the ramifications for safety in industry and the subsequent enquiries make fascinating reading. The Industrial Archaeologist will find much in the illustrations too, from contemporary engravings to photographs taken at the time of the incidents described. Alan has overseen the entire editing and production of the book, and it exudes quality, the clarity of printing of images is particularly fine and the book is worth the price for them alone. An interesting observation is that some of the mess rooms that I have frequented at railway and steam preservation attractions have a copy of this book on their table, allowing many more to read the salutary tales that have been found and researched – I have a list of folks wanting to borrow my copy, but I fear I would never see it again, so I suggest that they buy their own! Highly recommended and I look forward to future offerings from Sledgehammer Engineering Press and Alan’s pen. I was intrigued recently when I received a letter from Eric Coates in W.A. telling me about a new book he’d acquired called Historic Steam Boiler Explosions. Written by Alan McEwen and published by the author’s own Sledgehammer Engineering Press Ltd, it looked and sounded like a book I should have! A few emails later and the book was on its way, reaching me in a couple of weeks. The author is well qualified to write on the subject, having served his apprenticeship as a Boilermaker and working his way up to being Managing Director and Chief Engineer of his own boiler repair business, becoming renowned throughout the steam preservation scene. 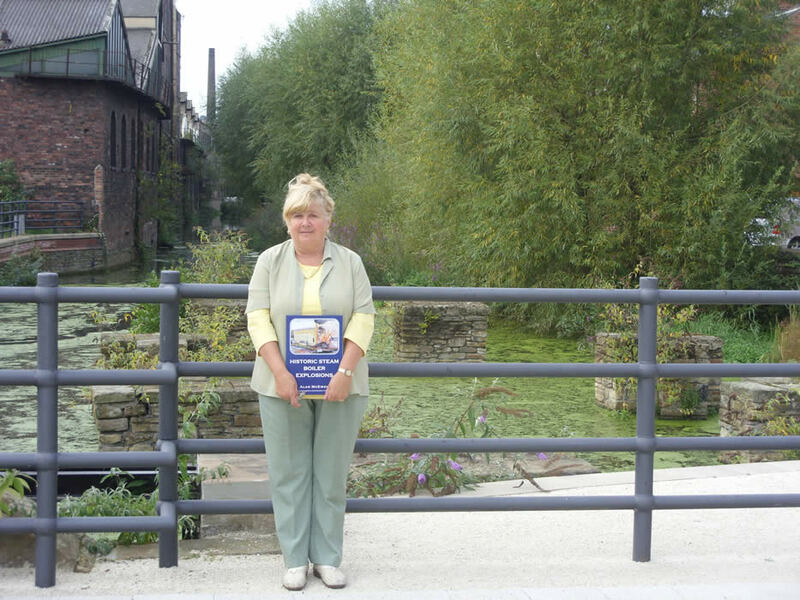 After retiring in 2007 Alan was able to indulge his passion for research into Britain’s Industrial Heritage full time and published Fred Dibnah’s Chimney Drops, drawing on his close friendship with Dr Fred Dibnah M.B.E. to recount the story of Dibnah’s method of demolishing many of the old boilerhouse chimneys left from Britain’s industrial past. In the latter half of the nineteenth century there was a spate of boiler explosions all over the UK, becoming something of a national scandal as the number of deaths and horrific injuries mounted. The subject of boiler explosions had naturally always been an interest of Alan’s so this history became his next project. In the introduction the author has done an excellent job in describing the forces developed within a steam boiler when at working pressure, and the devastating effects of a boiler exploding. Alan recounts no less than 33 explosions including devastating multiple explosions, using illustrations and accounts from contemporary newspapers and other sources, with many photographs from his own collection.. 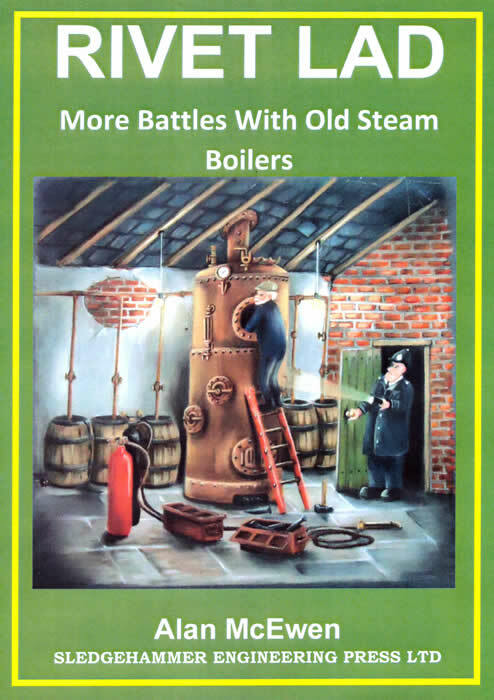 The stories are gathered under the headings of the various boiler types, and each section has an excellent description of the history and manufacture of the different types of boiler then in use – these sections alone make this a worthwhile volume for the steam history buff! I wasn’t aware how numerous the early egg-ended boilers were, and I’d never heard of Kiers, or unfired rag boilers as used in the textile industries, but both types seem to have featured in numerous explosions. From the numerous types of stationary boilers, the author then goes on to traction engine, locomotive and marine boilers – it seems no type was immune from the danger of explosion! The chapter on multiple boiler explosions really underlines the terrifying power of a large boiler exploding, and the collateral damage it can cause. The descriptions of the explosions seem to follow the then popular, rather flowery style – “On the pleasantly sunny morning of Friday the 15th of October 1875, fourteen year old John Walton was hard at work….” is a typical example, occasionally annoying (to me, anyway..) but certainly setting the scene accurately. The descriptions of the working conditions of the workers of those days is also enlightening, even harrowing at times! I found this high quality, hard covered A4 size book a really good read, and would recommend it to anybody with an interest in the safe operation of steam boilers. I believe it should have a place in the library of any model steam club, if only to give weight to the efforts of the boiler inspectors to inculcate safe working practices among members! An amazing and dramatic account of the power of steam and the disruption it can cause. The result of over thirty years research, this fascinating book chronicles 34 devastating and terrifying boiler explosions that took place from the mid 19th century to the early 20th century. The author, a former Boiler Engineer, now retired, is well qualified to write authoritatively on the subject, and the text includes a basic history of different types of early industrial, locomotive and marine boilers. Illustrated with some wonderfully rare photographs, it offers and absorbing insight into our industrial heritage; although it may give our steam enthusiast readers a few nightmares at bedtime! In an age when we take the safety of a steam boiler or pressure vessel and its associated equipment for granted, (I write this missive sat next to a 4000 psi Diving Cylinder) Alan McEwen’s book provides a sobering reminder of the high price paid by our forebears in the search for safe pressure vessels to contain the then evolving requirements for high-pressure steam. As usual, Alan uses his ability to paint a picture with words to make the subject even more interesting. A good read, and given Alan’s professional background as a qualified Boiler Engineer with over 45 years in highly specialised boiler construction and repair, the book’s instructive value is indeed a bonus.